The Nevada Supreme Court will hear the case of Veterans in Politics Int’l Inc. v. Marshal S. Willick and Willick Law Group at 10:30 a.m. Wednesday, Jan. 9. Nevada Supreme Court to hear the case of Sher Dev., et al. v. Desert Land Loan Acquisition, et al. The Nevada Supreme Court will hear the case of Sher Dev. LLC, et al. v. Desert Land Loan Acquisition LLC, et al. at 1 p.m. Tuesday, Jan. 8. The West Virginia Supreme Court of Appeals will hear the case of Robert Andrews, et al. v. Antero Resources Corp. at 10 a.m. Tuesday, Jan. 15. West Virginia Supreme Court of Appeals to Ben & Diane Goldstein v. Peacemaker Properties, et al. The West Virginia Supreme Court of Appeals will hear the case of Ben & Diane Goldstein v. Peacemaker Properties LLC, et al. at 10 a.m. Wednesday, Jan. 9. The West Virginia Supreme Court of Appeals will hear the case of Scott Comer v. Priority Ambulance LLC at 10 a.m. Wednesday, Jan. 9. 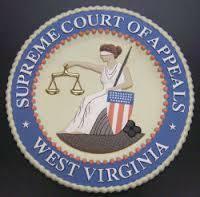 West Virginia Supreme Court of Appeals to hear J.A. Street & Associates v. Bitco General Insurance, et al. The West Virginia Supreme Court of Appeals will hear the case of J.A. Street & Associates v. Bitco General Insurance, et al. at 10 a.m. Tuesday, Jan. 8. 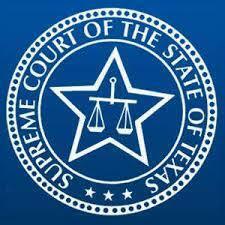 In Chelsae Wessels, CRS Healthcare LLC and Joey Urrabazo v. Benjamin Scott Zertuche, case number 18-1224, Wessels, CRS Healthcare LLC and Urrabazo sent a notice of appeal to the Texas Supreme Court. Maryland Supreme Court to hear LVNV Funding LLC v. Larry Finch, et al. The Maryland Supreme Court will hear the case of LVNV Funding LLC v. Larry Finch, et al. at 10 a.m. Thursday, Jan. 31. California Supreme Court to hear T-Mobile West, et al. v. city and county of San Francisco, et al. The California Supreme Court will hear the case of T-Mobile West LLC et al. v. City and County of San Francisco, et al. at 9 a.m. Tuesday, Jan. 8. The Maryland Supreme Court will hear the case of Michele Gallagher v. Mercy Medical Center Inc. at 10 a.m. Tuesday, Jan. 8. The Maryland Supreme Court will hear the case of Patricia Moore v. Fernwood Mobile Home Park Inc. at 10 a.m. Monday, Jan. 7. The Maryland Supreme Court will hear the case of Cushman & Wakefield of Maryland Inc., et al. v. DRV Greentec LLC at 10 a.m. Monday, Jan. 7. 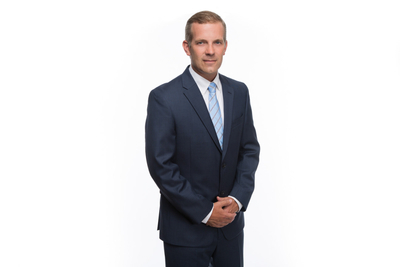 In 18-1068, Donald Cardwell and 121 Investments LLC v. Bill Gurley, Cardwell and 121 Investments petitioned an appeal to the Supreme Court of Texas. California Supreme Court to hear Julia C. Meza v. Portfolio Recovery Associates, et al. 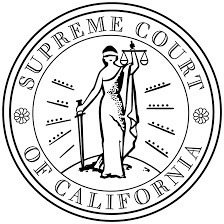 The California Supreme Court will hear the case of Julia C. Meza v. Portfolio Recovery Associates LLC, et al. at about 9 a.m., Tuesday, Jan. 8. West Virginia Supreme Court of Appeals to hear Hannover Resources v. LML Properties, et al. The West Virginia Supreme Court of Appeals will hear the case of Hannover Resources LLC v. LML Properties, et al. at 10 a.m. Tuesday, Jan. 29. The West Virginia Supreme Court of Appeals will hear the case of Samuel Amoruso v. Commerce and Industry Insurance Co. at 10 a.m. Tuesday, Jan. 29. In 19-0010, Nawaid Isa v. Centerpoint Energy Houston Electric LLC and Ambit Energy, Isa sent a notice of appeal to the Texas Supreme Court.